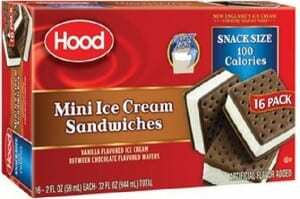 Free Hood Ice Cream Sandwiches in Boston on Thursday! Hood is celebrating National Ice Cream Sandwich Day on Thursday, August 2, 2018 at the Hood Milk Bottle at The Boston Children’s Museum at 308 Congress Street. Enjoy free ice cream sandwiches, get photos taken with Wally the Green Monster, enter giveaways and more! Wally will be able from 12-1pm, but you can grab a free Ice Cream Sandwich from 12-4pm on Thursday! Will you be celebrating Ice Cream Sandwich Day in Boston on Thursday?